Nuke Pro: Hilarious! Japan Tries to Convince It's Citizens That NUclear is Safe By Hiring A Nuke Promotion Agency the IAEA To "Inspect a Plant"
Hilarious! Japan Tries to Convince It's Citizens That NUclear is Safe By Hiring A Nuke Promotion Agency the IAEA To "Inspect a Plant"
The International Atomic Energy Agency began its 11-day evaluation on Tuesday and will report its findings to Japan’s watchdog, the Nuclear Regulation Authority, which has the final say on a plant’s safety. A restart would still need local government approval, which presents difficulties as the region’s governor remains a vociferous critic of Tepco. Hirohiko Izumida, three-term governor of Niigata prefecture where the plant is located, has said restarting Kashiwazaki shouldn’t even be considered until Tepco’s safety record and handling of Fukushima are properly reviewed. stock here........Uh, Hirohiko, I think we know all we need to know about TEPCOs accuracy, capabilities, and truthfulness, as well as their willingness to put profit over safety. The prime focus as reported in all articles is to allow TEPCO to make more money! Recently, TEPCO and the Nuclear Damage Liability Facilitation Fund (NDF) have decided to outline a comprehensive special business plan in which the beleaguered utility will be able to restart all of the seven reactors at its Kashiwazaki-Kariwa Nuclear Power Plant by around fiscal 2016 to improve its earnings. Tokyo Electric Power Co. (TEPCO) – operator of the disaster stricken Fukushima nuclear power facility – must give a more detailed account of the Fukushima disaster and address the long string of incidents where critical information was manipulated and mishandled before it will be permitted to restart the Kashiwazaki Kariwa plant, according the governor of the area. Niigata Prefecture Governor Hirohiko Izumida calls TEPCO’s process “institutionalized lying”, and he would like to see the company handle these issues before restarting from its mothballed state what is the world’s biggest nuclear complex, located on the Japan Sea coast, north-west of Tokyo. Stock here: looks like they are forgetting the old school ways......simply bribe the politicians, sheesh, see below. bo, you may find this interesting. Money buys nuclear acceptance. 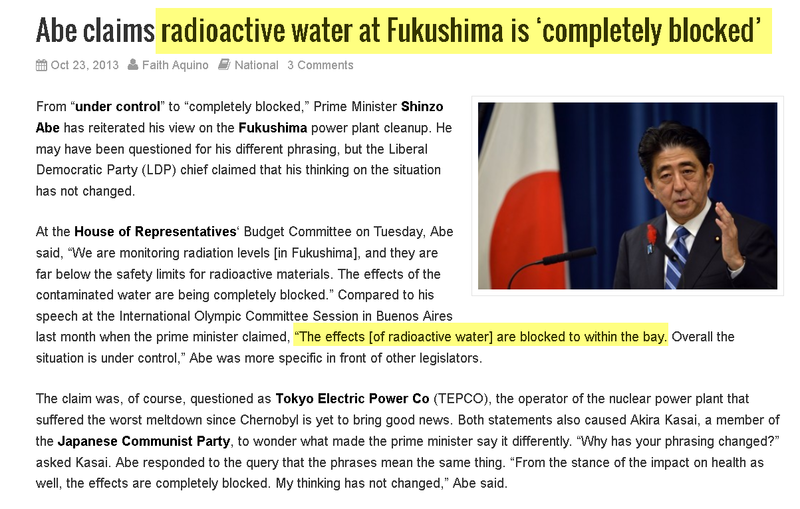 In 1981 Takagi said no to a second reactor. 'The construction of a second nuclear reactor is out of the question,' said Takagi, referring to a request from the plant operators to expand operations at the facility, about 225 miles from Tokyo on the Sea of Japan. A month later, it wasn't so bad. What Mayor Takagi did not say, but what he meant, according to Takao Sugiyama, a reporter who has followed the affair, is that the town expects more handouts from officials and from the company, partly as compensation and partly to secure cooperation on the new plants." Then in 1983 he made the speech you reference. Well, Tsuruga-2 commenced operation in 1987.